A new set of rules takes effect this week for boaters and fisherman in Michigan. Beginning Thursday, watercraft users will be required to take steps to prevent the spread of aquatic invasive species. Kevin Walters is an aquatic biologist with the Department of Environmental Quality. He says the DEQ recommends boaters take a 360 degree walk around their boats and trailers to remove anything that’s not supposed to be there. “If there's weeds stuck on the trailer, or weeds on the motor; if there's mud or debris or wood anywhere lodged on the boat, just remove that stuff before you trailer your boat and move it to another body of water,” Walters said. 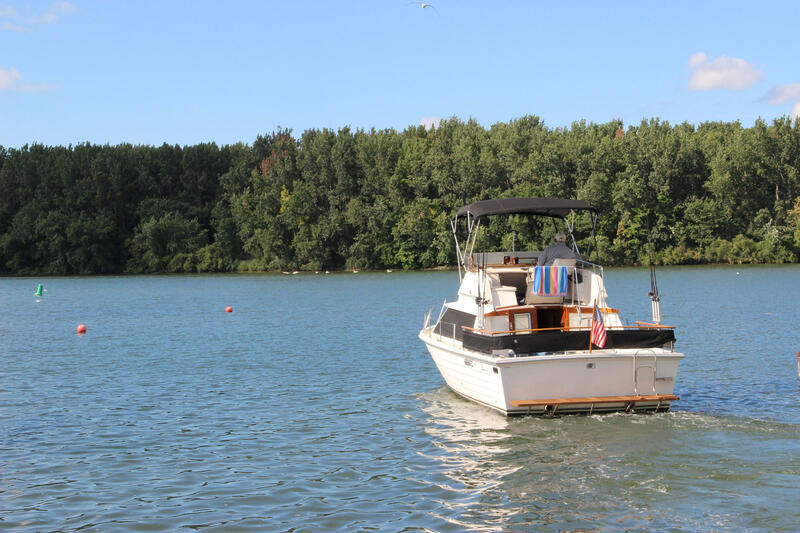 Boaters and anglers will also be required to drain all water from bilges, ballast tanks, and live wells. They will also have to dispose of unwanted or leftover bait in trash cans on shore rather than throwing it overboard. Boaters can go to the "laws" section at www.michigan.gov/invasives for more information. State and local officials updated some Grand Rapids residents about possible air pollution in the southwest area of the city on Wednesday night. The company Viant Medical uses a chemical called ethylene oxide to sterilize medical equipment. A group of doctors, regulators and outside experts is meeting behind closed doors in Chicago Tuesday to determine if Flint’s water technically meets federal standards again. The meeting at EPA’s regional headquarters could be the start of a shift; from a public health emergency to a longer term response. Water samples have improved for several months. But there are still some homes with spikes in lead levels that are potentially dangerous without a water filter. Some experts now believe any homes with a lead water service line are at risk.